We offer custom made roller blinds in a wide range of fabrics, colours and finishes. Roller blinds are a practical and affordable solution and can perfectly compliment any room in your home. All our roller blinds come with child safety holders and a 1 year warranty. We provide a modern looking blind that can be operated with standard metal chain, optional plastic chain, or stainless steel chain (for beach side areas) and motorised options. The blinds can be linked for large areas, have a covering bonded pelmet or cassette option. Standard chain operation: comes in either plastic or metal chain. Battery operation: Qmotion Luxaflex lasts for 5 years before it needs a change of batteries. Good for hard to reach areas – and don’t need the electrician. Literise: Luxaflex self-lifting system – simply pull the blind up to raise it. Motorised: Luxaflex Powerview operation. Can connect many blinds to the one remote control, or operate individually. You can purchase a hub then operate from your mobile phone or tablet. Choose your roller blinds with either a block-out or light filtering fabric depending on your needs. 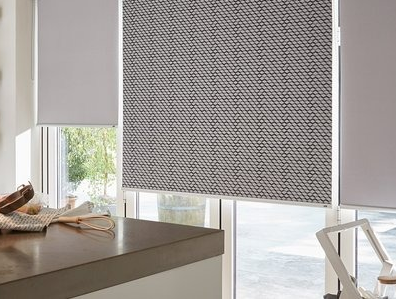 Roller blinds with block-out fabrics will provide optimum room darkening. Translucent fabrics will allow light to enter your room, providing daytime privacy while allowing you to view outside. 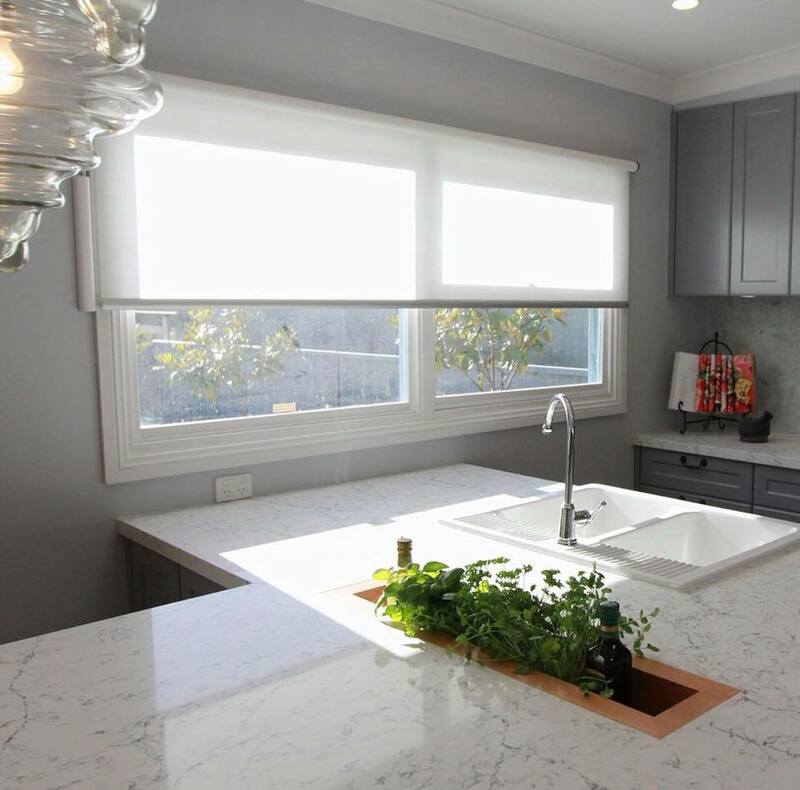 Another option is dual blinds, which allow you to have two blinds installed on one bracket. So now you can have sheer and block-out fabrics combined for day and night privacy. We offer a FREE in home measure & quote service for all window treatments, which includes guidance on choosing products such as shutters, blinds, curtains, awnings, sheers, alongside brands & colours, all based on your style, budget and convenience. If you have window measurements and just want a price over the phone feel free to call us and we will be more than happy to help.